The Benedictine Sisters are very grateful to the Loeb Foundation for their continued support and funding for two of our ministries: Transitional Housing BARN and Linton Hall School. 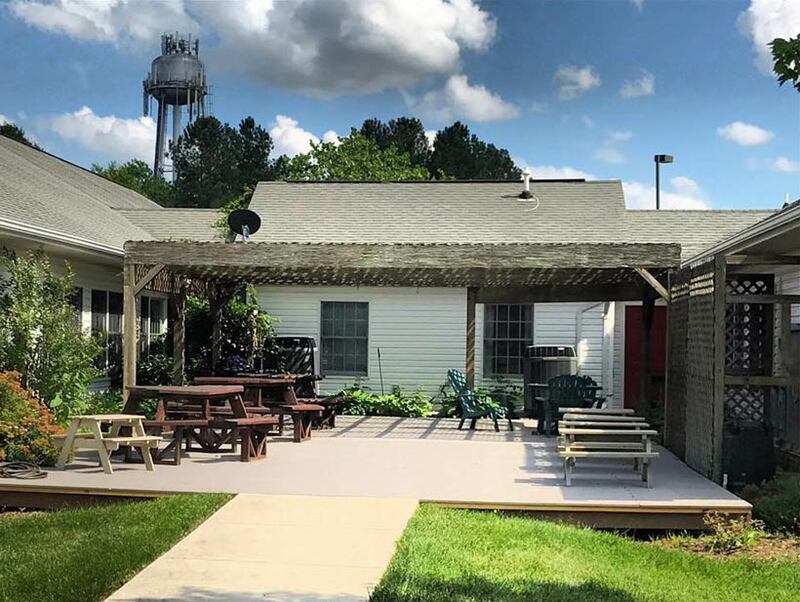 BARN is a homeless shelter that provides women and children with up to two years of case management (includes counseling, education and supportive services). With families constantly moving in and out of BARN on their journey to permanent housing, there is great deal of traffic and a constant need for building renovations and replacement of furniture for our 12 private bedrooms. Our Revitalization/Refurbishment Project funded repairs/painting for each housing unit, replacement of all bedroom furniture and mattresses and new kitchen appliances. Funds from our Safety First Project grant enabled us to replace a surveillance system that was 10 years old. It also allowed us to purchase laptops for BARN moms and help them increase technology skills, essential for effective job search and readiness. Over 150 families have benefited from the improvements we were able to make in the BARN facility due to the investment of the Loeb Foundation. Linton Hall is an accredited Catholic elementary school (Grades PK-8). The preschool provides a nurturing, developmentally appropriate learning environment designed to ensure all children will achieve at their highest ability while having fun at the same time. Linton Hall (K-8) provides a safe, nurturing environment where a firm foundation of academic, interpersonal, athletic, and cultural skills is built for each student. The building is nearly 100 years old. Linton Hall, like many old buildings, contained asbestos in the flooring. Two Loeb grants enabled us to remove old tiles and the asbestos from numerous classrooms and stairways and replace all with safe flooring. Loeb invested in the health and safety of 275 children that attend classes in the building each year. The grants from Loeb foundation have made a very positive impact on our programs by improving health and safety conditions at BARN and Linton Hall School over the past several years.